This publication was produced in order to teach, learn and, above all, help create a culture of prevention for sustainable development. It does not attempt to be an essay or become a doctrine treatise on disaster risk management. 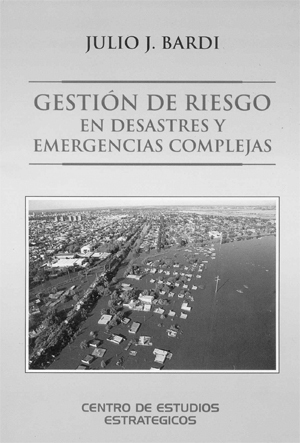 It simply tries to understand that, in the face of the permanent and growing threats posed by disasters, which contributes to deteriorating both humankind and the planet, we must try to better administer the heritage that God left to human beings on behalf of the common good, as well as to preserve the wonderful and diverse nature that men have at their disposal and for their enjoyment. This publication was written in response to the existing need of university students from different academic levels (i.e. masters and PhDs) at the School of Geography and Environmental Sciences, Faculty of Philosophy, History and Literature of the Salvador University. The primary goal in the event of a complex emergency or disaster is to save lives and reduce the damage caused by them.